When will be Lost UFO Files next episode air date? Is Lost UFO Files renewed or cancelled? Where to countdown Lost UFO Files air dates? Is Lost UFO Files worth watching? If an alien space ship crash lands on Earth, the first thing we're going to want to do is take it apart and learn how it works and what kind of options it has options like an anti-matter reactor, laser weapons and even a tele-transporter. On the night of October 4, 1967, in the small town of Shag Harbour, dozens of eyewitnesses see what appears to be an extra-terrestrial craft hovering in the sky and then plunge into the water. Strangely, extensive searches reveal no trace of the craft. The Grays--beings from another world--abduct humans, implant devices, and conduct reproductive experiments. Hundreds of eyewitnesses swear they encountered aliens and dozens claim they have actual physical proof. Join us, in search of the Grays' agenda. It's a tale straight out of The X-Files...kept under wraps by government officials for more than two decades. In 1977, a luminous object appears in the night sky over the Brazilizan island of Colares and attacks residents, leaving 30 injured and two dead. Lost UFO Files next episode air date provides TVMaze for you. 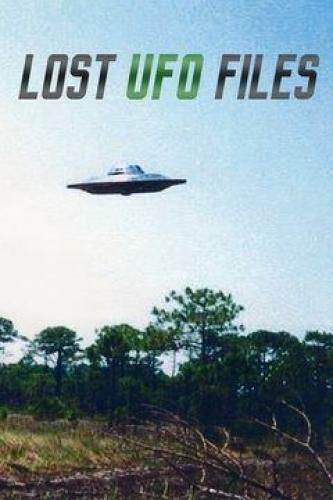 EpisoDate.com is your TV show guide to Countdown Lost UFO Files Episode Air Dates and to stay in touch with Lost UFO Files next episode Air Date and your others favorite TV Shows. Add the shows you like to a "Watchlist" and let the site take it from there.